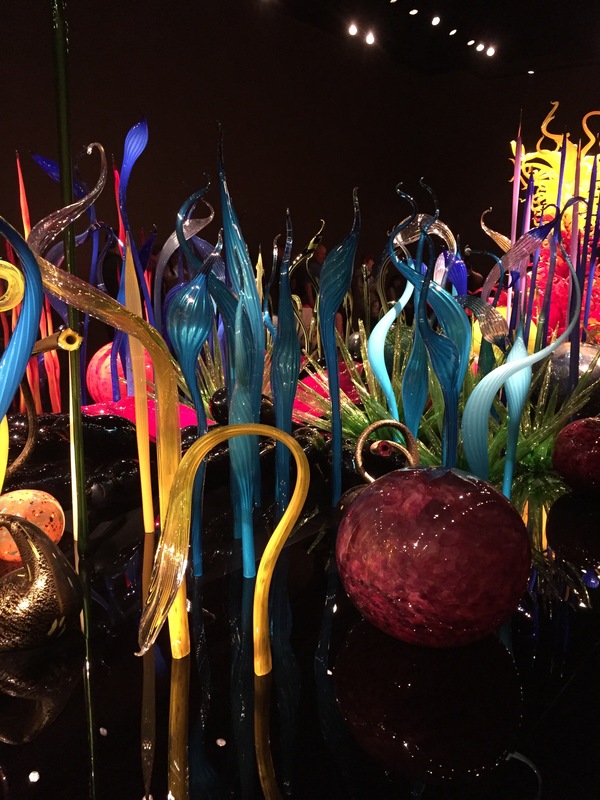 I love the glass art developed by Dale Chihuly. 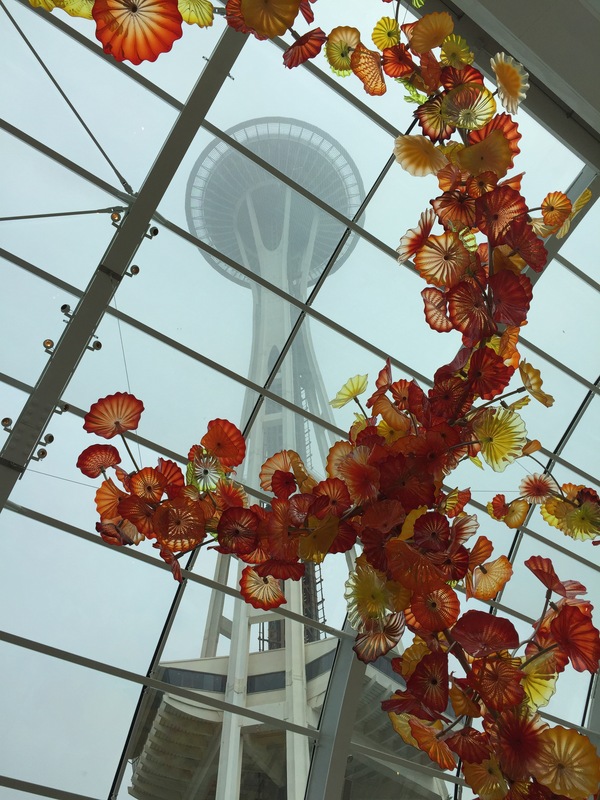 I have seen his art work throughout the United States in Florida, Nevada, Arizona, Arkansas And finally in his home state of Washington when I visited the Chihuly Garden and Glass museum that shares his name next to the SpacecNeedle in Seattle, Washington. There is something about the vibrant colors and twisted shapes that cheers me. Each of his designs provide me a moment of childhood delights. Blues, teals, reds, lilac, violet, orange, gold, black, green, yellow; solids, stripes, mottled; tall, short, rotund, pointed, rounded, spiral, straight, curved. Is there a descriptive word that cannot be used to describe his work? I think not. 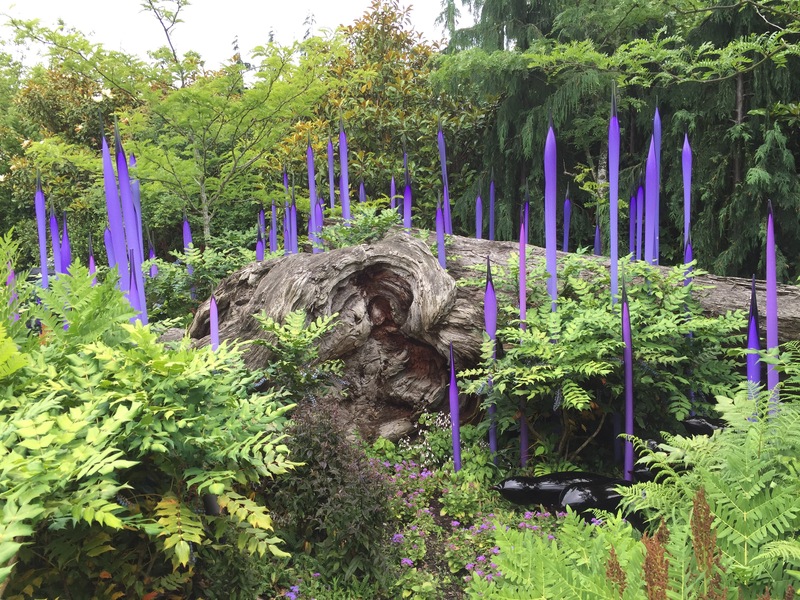 For me the glass art of Chihuly is magical! Beautiful, fanciful. Whether his displays be indoors, within the confines of an exhibition hall, or outside nestled alongside plants or sitting within a pond or creek, each installation is unique and intriguing. For those who have not seen his glass sculptures, I entreat you to make the effort. The sparkle of delight will bubble in your soul. At least I hope it will, as it does in mine.